Keerthika Vinod in collaboration with Dialogues is conducting a soap making workshop where you will learn to make natural handmade soaps from scratch. We will take you through the complete theory and science behind soap making. 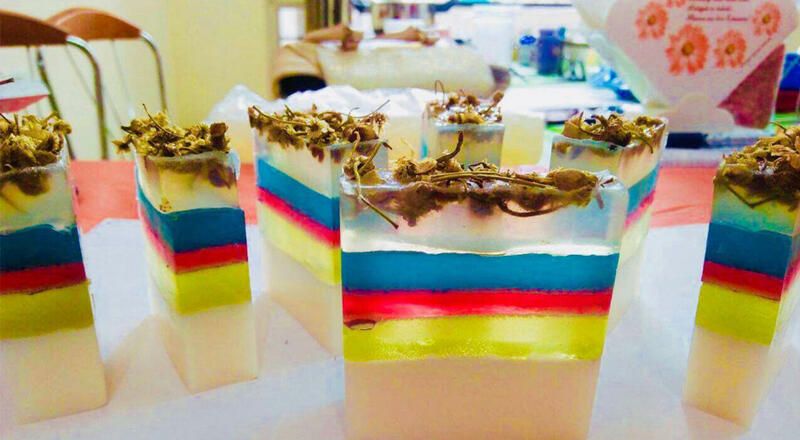 You will learn to make, melt and pour soaps. It is a hands-on class. You will be taught how to create your own recipes with your choice of ingredients. Come and explore your creativity and learn something that is chemical free, and that you use every day. Make some natural products for family and friends, and also explore the possibility of starting your own business of natural handmade soaps. A lot of goodies are there for you to take home after the class along with a lifetime skill.